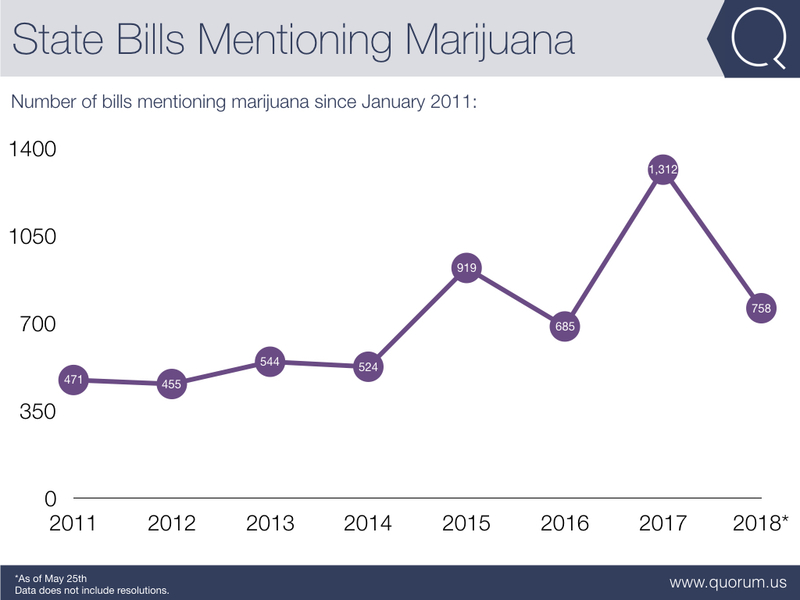 2017 was the most active year for marijuana legislation. As odd numbered years see more legislation introduced in the states, 2017 was the peak with 1,312 bills introduced. The first five months of 2018 has already surpassed 2016's totals with 758 bills moving across the 50 states. Including carryover bills from 2017, Massachusetts has been the most active in marijuana legislation. 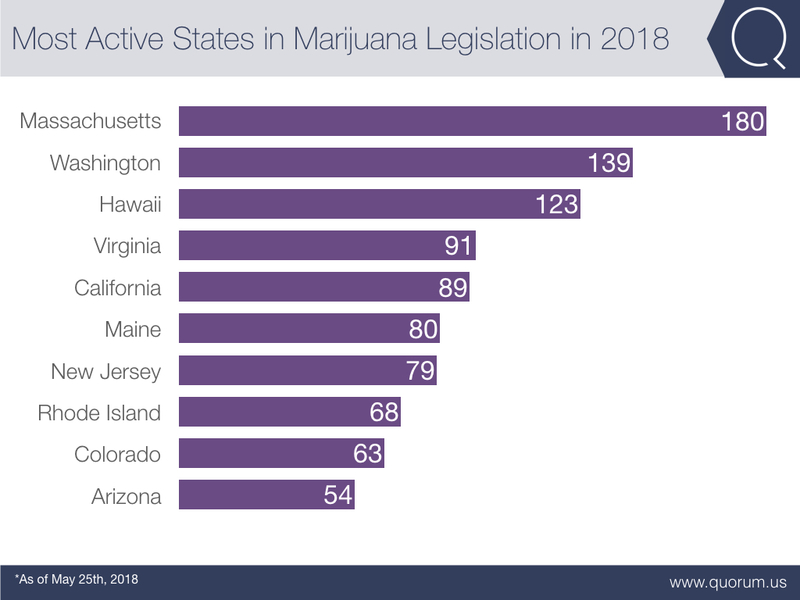 Massachusetts has introduced 180 pieces of legislation in 2017 and 2018 mentioning marijuana. Washington is the second most active, with 139 pieces of legislation. 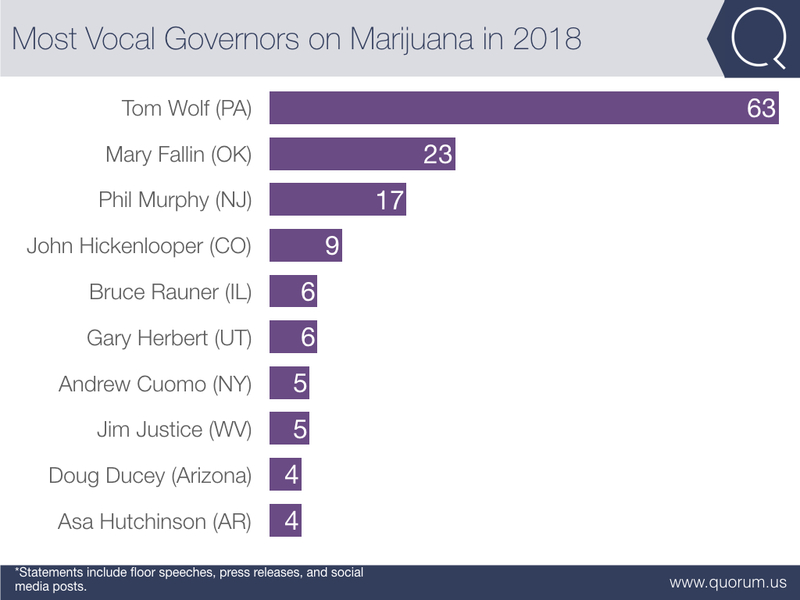 Pennsylvania Governor Tom Wolf has been the most vocal on marijuana in 2018. Wolf has mentioned marijuana in press releases and social media 63 times so far this year, far and away making him the most vocal. The second most vocal, Oklahoma Governor Mary Fallin, has only mentioned marijuana 23 times. Does state policy impact an issue you care about? Here's why state bill tracking should be a centerpiece of your advocacy.